But the savagery of the conflict knows no boundaries. Ceasefires have been ignored and civilians have become targets. 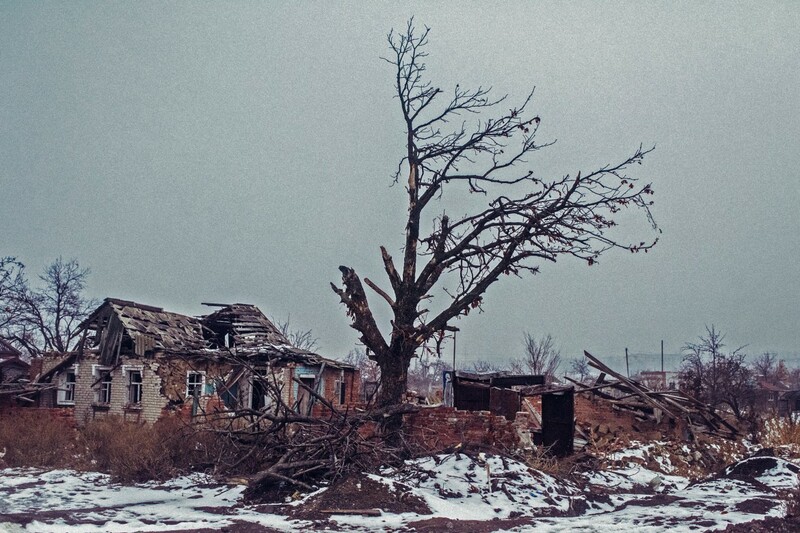 Yesterday, shells struck Donetsk leveling houses, a bus stop, children's institutions and the humanitarian centre. Innocent lives were lost. It is unacceptable that the war is taking lives again in Donbass and keeps people in fear and horror. Hopes for a peaceful future of the region are lost with every tragedy. Nothing is more valuable than a human life. Civilians must not suffer! Civilians must not die! Since war broke out last year people, who once knew peaceful and quiet lives, are at daily risk of getting caught in the crossfire. They are also dying a slower death of hunger and want. Over one million people have been displaced, many have lost their livelihoods. They have become desperate for the basics of food, shelter and medicine. Many of the displaced have fled to other communities in Eastern Ukraine. This has placed a huge strain on resources for towns that have seen populations grow very quickly overnight. Aid groups like the International Committee of the Red Cross (ICRC), World Food Programme and others are now having to increase or start aid in a country they never operated in before. Ukrainians, who once needed no help to survive, now depend entirely upon charity. Ulyana, a 27-year old Ukrainian mother with an autistic child, was once able to support her family. According to Catholic Relief Services she was a lawyer with a good middle-class living. Then the war came and Ulyana and her son were forced to flee. They now live in a crumbling cottage in extreme winter conditions. They get help from Catholic Relief Services (CRS) which is aiding thousands of displaced persons with food, water and shelter. Families, who before the conflict, lived quite normal middle-class European lives, now find themselves crammed into a small room or two, or in an isolated cottage in a remote rural area, largely dependent on charity. For many, the routine of work, supermarket shopping, and after-school activities has been replaced by the fear of a savage war that seems to have no end. As long as the fighting continues, so too will hunger. Food prices have risen dramatically making it impossible for the poor to afford to eat. State services that could help have been shut down. In the area of Makeevka in the Donetsk region, it is estimated that more than half of the population are in acute need of food supplies. In medical institutions there is tremendous food shortages with patients starving according to International Relief and Development. 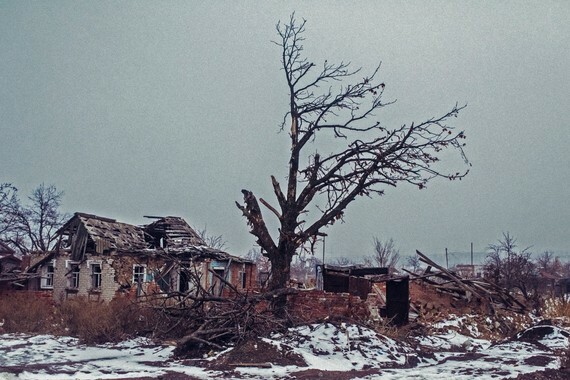 The situation in Eastern Ukraine will get much worse, unless peace can be established. The UN World Food Programme (WFP) recently announced it's increasing the food aid mission in Ukraine. A year ago they did not even operate in the Ukraine. There was no need at that time. But now there most definitely is the need for food. Where there is war, there is hunger. This is a tragic scene too often repeated with the most refugees globally since World War II. WFP is already running one of the largest emergency missions in history because of the war in Syria. Will the Ukraine be the next major hunger disaster? What can someone do to help? You can pray for and support peace efforts. Also you can help by donating to the charities providing life-saving aid throughout the Ukraine.